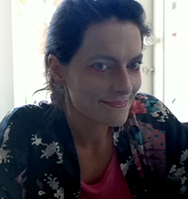 Kate Hanley Corley is a Melbourne based comedian whose comic characters include French style icon Fanny Bouffante and Koo Wee Rup dairy farmer turned Geisha Aisha The Geisha. Kate completed her Bachelor of Arts (Major Journalism) at Deakin University and she also attended the French programme at The University of Melbourne and stages at the University of Pau, France and the Agence France Presse, Paris. She worked as a journalist in Melbourne before studying screenwriting at RMIT. She subsequently worked in script departments of Australian TV drama shows Blue Heelers, City Homicide, Rush and Winners and Losers. In 2012 Kate became a comedian with successful seasons at both the Melbourne Fringe Festival and Melbourne International Comedy Festival. 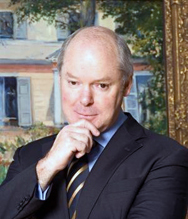 Gerard Vaughan is Director of the National Gallery of Australia, Canberra and was formerly the Gerry Higgins Professorial Fellow, attached to the Australian Institute of Art History at The University of Melbourne. He is a graduate of The University of Melbourne, and subsequently undertook doctoral studies at Oxford under the supervision of Francis Haskell. From 1994-99 he served as inaugural Director of the British Museum Development Trust, returning to Melbourne in 1999 to become Director of the National Gallery of Victoria, from which he retired in 2103. His research interests are the history of the 18th and 19th centuries. His Oxford doctoral thesis was on the 18th century British antiquary and collector Charles Townley from the perspective of the art market in late 18th century Rome. His is a fellow of the Society of Antiquaries of London and National Fellow of the Institute of Public Administration of Australia. Gerard has had a lifelong interest in the history of taste and art collecting, both private and institutional, and is currently preparing a history of private art collecting in Australia for Melbourne University Press.